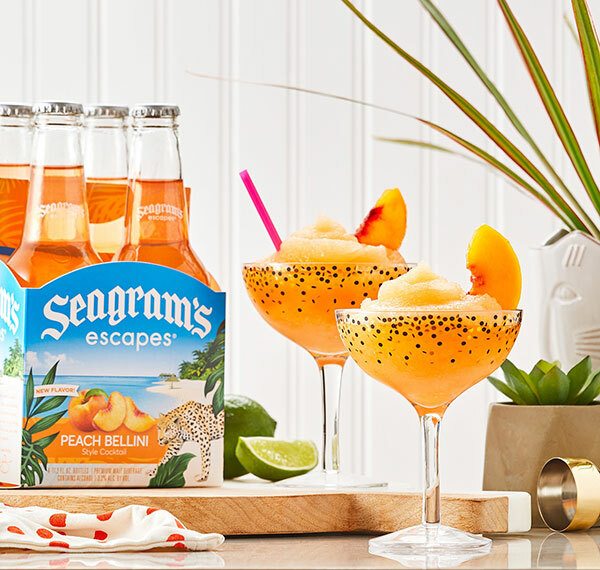 Pour Seagram’s Escapes Peach Bellini into ice cube trays. Place in freezer until completely frozen, about 12 hours. In high power blender, add sparkling wine and peaches. Blend until smooth. Add in Seagram’s Escapes Peach Bellini cubes. Start blending, adding in vodka in slow steady stream. Pour into chilled glasses and garnish with a peach slice, if desired. Enjoy immediately.